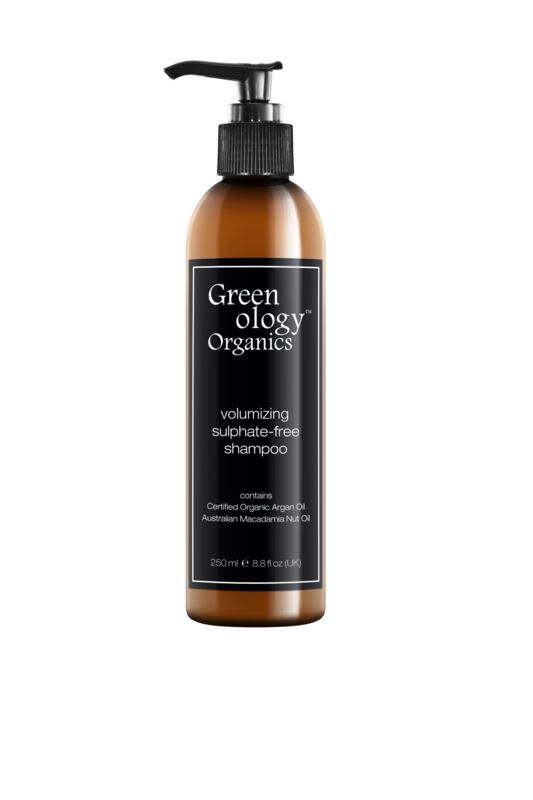 GREENOLOGY ORGANICS VOLUMIZING SHAMPOO 250ML – HAIRDEPOT - Hair & Scalp Care Products, Prevent Hair Loss, Shampoo, Conditioner, Treatment, Styling, Appliances and more! Volumizing sulphate-free shampoo, infused with ‘Argan oil & Soy Protein. The best natural and organic of volumizing hair shampoos that builds body & brings out natural highlights as it cleanses for bounce, fullness & radiant shine with sulfates-free & parabens-free. Volumizing hair shampoos of Soy Protein combined with Argan oil, which nourishes and adds extra body and volume to thin, oily, fine hair while harsh detergent-free.